Hugh Bowman hopes to complete the Epsom Handicap/Doncaster Mile double on Godolphin’s Hartnell. Growing up in Dunedoo, Hugh Bowman had plenty of time to dream. He never imagined a horse like Winx might come along and change his life, but he did aspire to etch his name on the honour roll of Australia’s greatest races, the Doncaster Mile significant among them. “When I was young there was two races I wanted to win. One was a Melbourne Cup and the other was a Doncaster,” Bowman said. “Obviously with my career going the way it has, I couldn’t, in my wildest dreams, have thought things would turn out the way they have, but they have. Bowman has one Doncaster win to his credit courtesy of Winx and it is perhaps fitting that the horse once considered her greatest rival could deliver him a second. 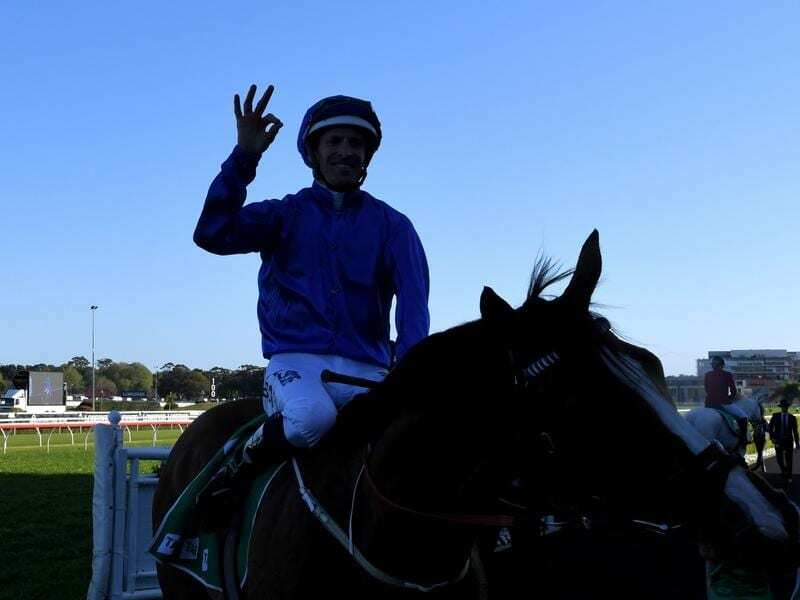 The champion jockey will team up with Hartnell in Saturday’s $3 million Randwick feature as the Godolphin gelding bids to join Happy Clapper, Winx and Super Impose as the only horses in the past 40 years to claim the Epsom Handicap-Doncaster Mile double in the same season. The eight-year-old, who will be lining up for his 50th start, has been racing in great heart and heads to Saturday off a second to Mystic Journey in the All-Star Mile at Flemington. With top weight of 58kg he will be conceding an advantage to his 19 rivals but Bowman can find plenty of positives, including his ideal draw in barrier seven. “We won the Epsom together and he’s just so consistent,” Bowman said. “His run in the All-Star Mile was excellent, you could say he might have been unlucky not to win that and I love the draw for him. Hartnell was a $10 Doncaster Mile chance on Thursday, with three-year-old Brutal the $5.50 favourite. Hartnell’s stablemate Alizee and the Lindsay Park-trained Fifty Stars share the second line of betting at $7. In what could be a big afternoon for the Bowman-Godolphin combination, the pair will also team up with Golden Slipper runner-up Microphone in the Group One Sires’ Produce Stakes (1400m) and Osborne Bulls in the Group One TJ Smith Stakes (1200m).